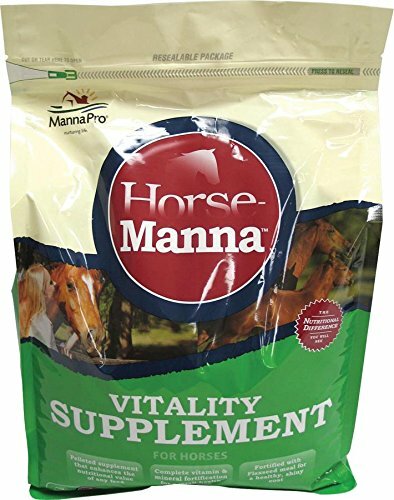 Horse-manna 0092192220 vitality equine supplement 11.25 lb contains several nutritional, complete fortification of vitamins and minerals. includes multiple sources of high quality proteins. use to maintain a healthy stable and promote shiny coats and strong immune systems.